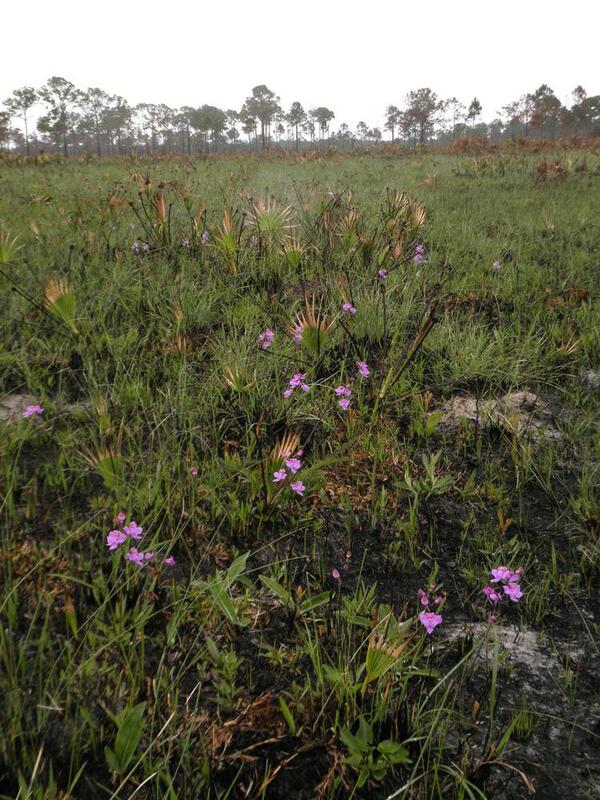 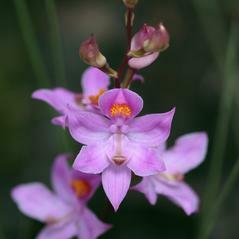 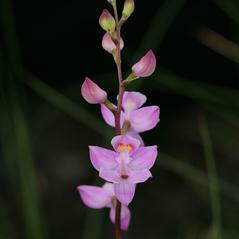 Calopogon multiflorus, commonly known as the Many Flowered Grass Pink, is distributed throughout central Florida with a few outlying occurrences in Alabama, Mississippi, Louisiana, South Carolina, North Carolina, and, historically, Georgia. 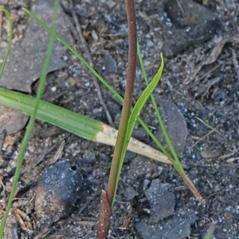 This plant has one-two slender leaves that are less than the overall height of the plant. 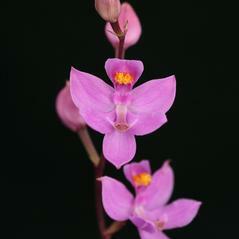 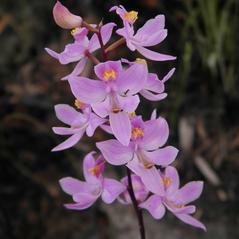 They usually have 5-15 flowers that are closely and neatly spaced, opening simultaneously. 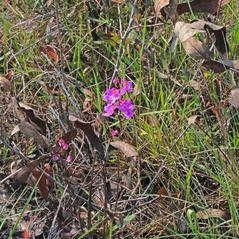 The petal color is bright magenta pink with a bright tuft of orange on the upright lip. 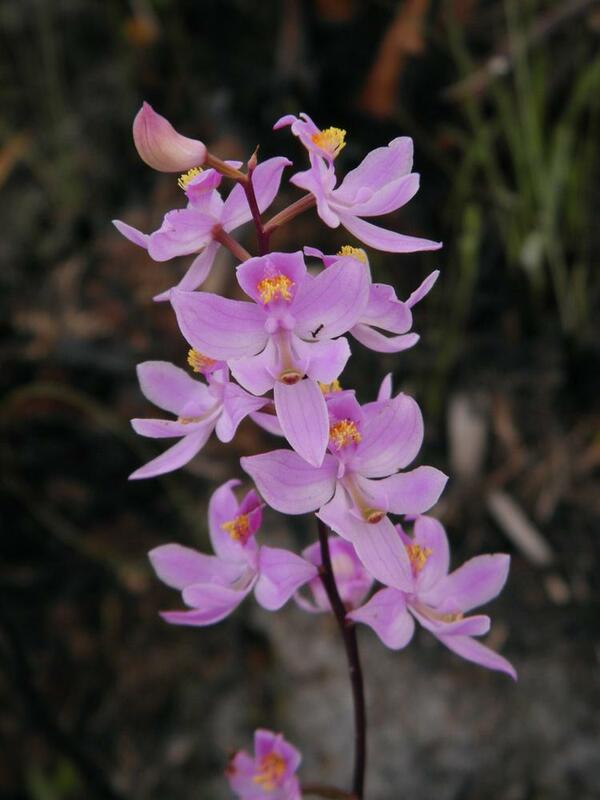 The flowering period varies from March or April to July. 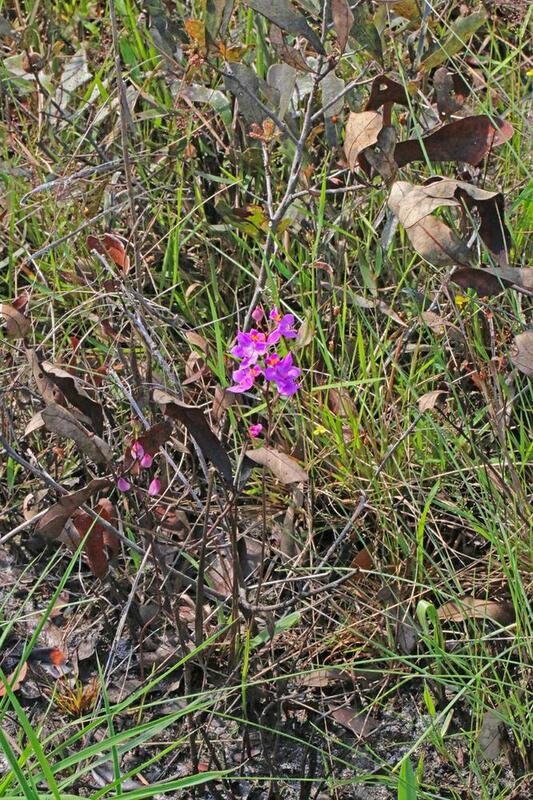 It is a fire-respondent species and often flowers a few weeks after a spring burn. 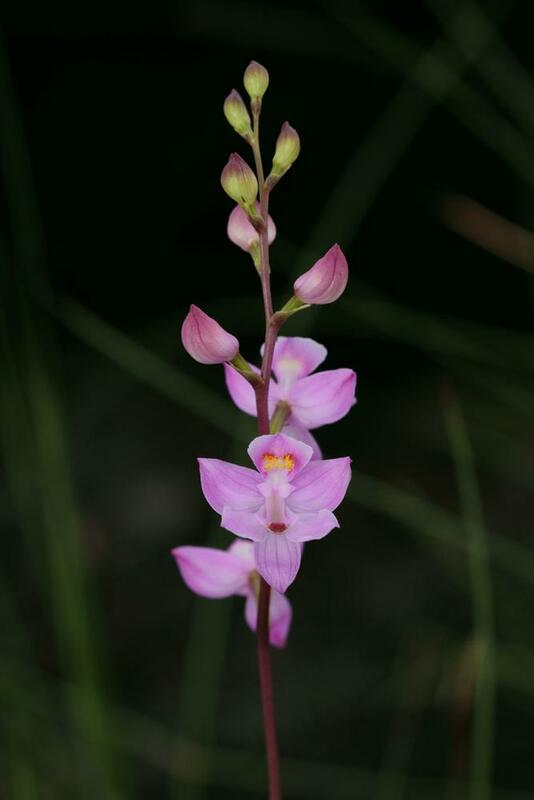 This orchid prefers damp meadows and pine flatlands. 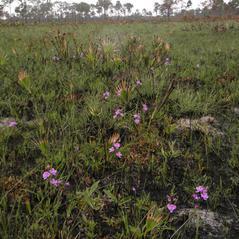 Calopogon multiflorus is considered globally imperiled and is endangered in Florida. 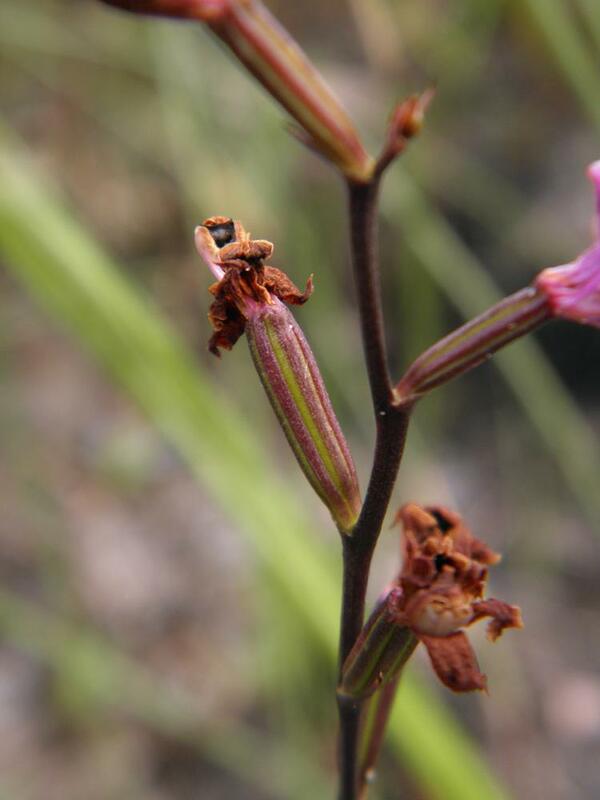 The flowers of Calopogon appear to be upside down with the lip at the top of the flower and use deception to attract pollinators. 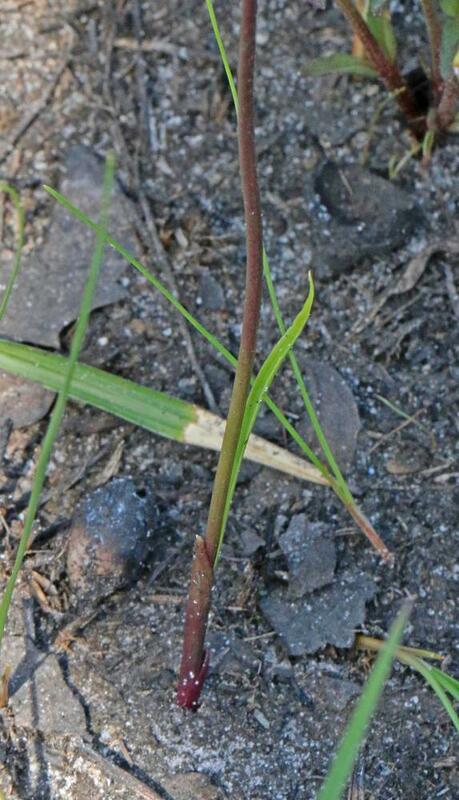 Midway up the lip, a tuft of orange-yellow hairs resembles pollen which attract naive, recently emerged bees expecting a reward. 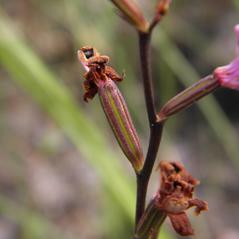 Bees of sufficient weight, force the hinged labellum to swing down, dropping the pollinator backwards onto the column. 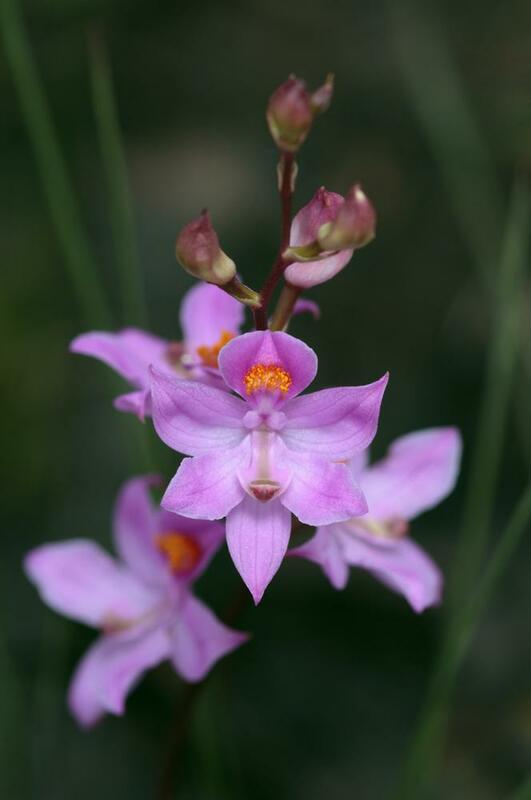 Any pollen attached to the bee is pressed onto the stigma and as the bee exits the flower, it picks up a new load of sticky pollen found on the end of the column. 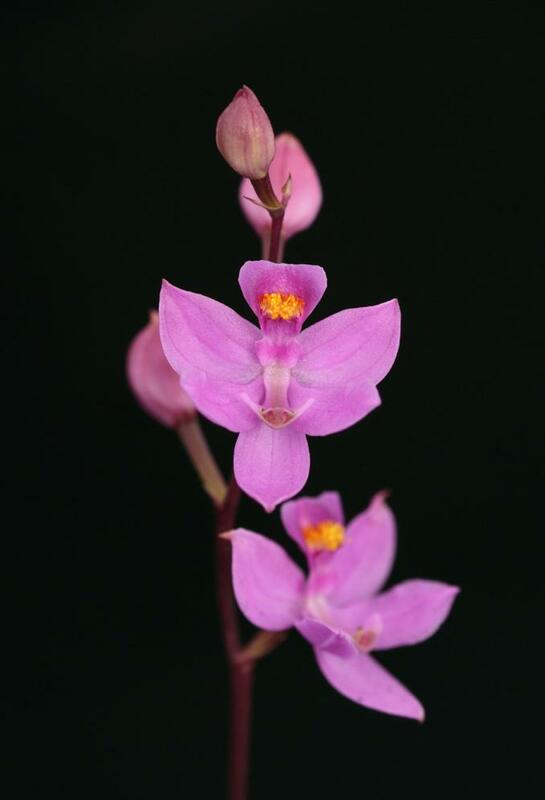 This species has a strong, pungent fragrance which may also attract potential pollinators such as Poecilognathus punctipennis.